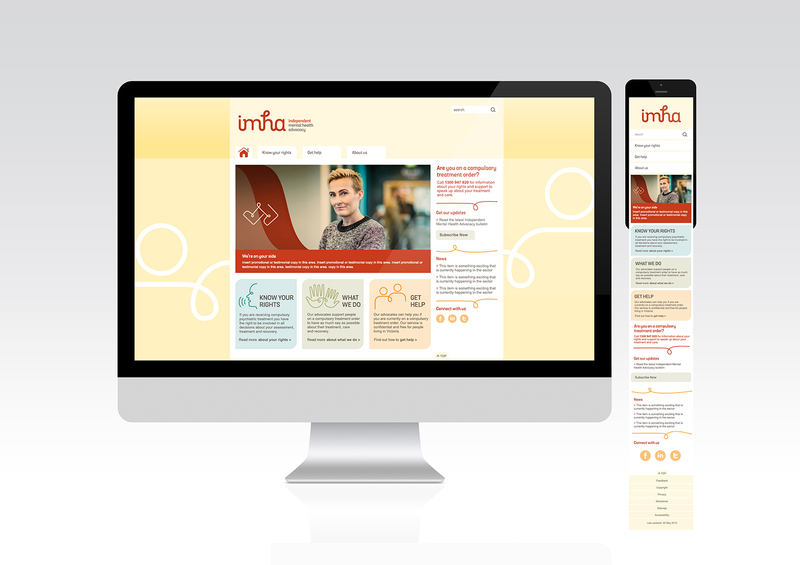 Client: Imha's purpose is to provide help to people diagnosed with a mental illness, who are receiving compulsory treatment. The goal of the service is to provide independent advocacy which will help people in this situation to have a voice in decisions about their treatment. 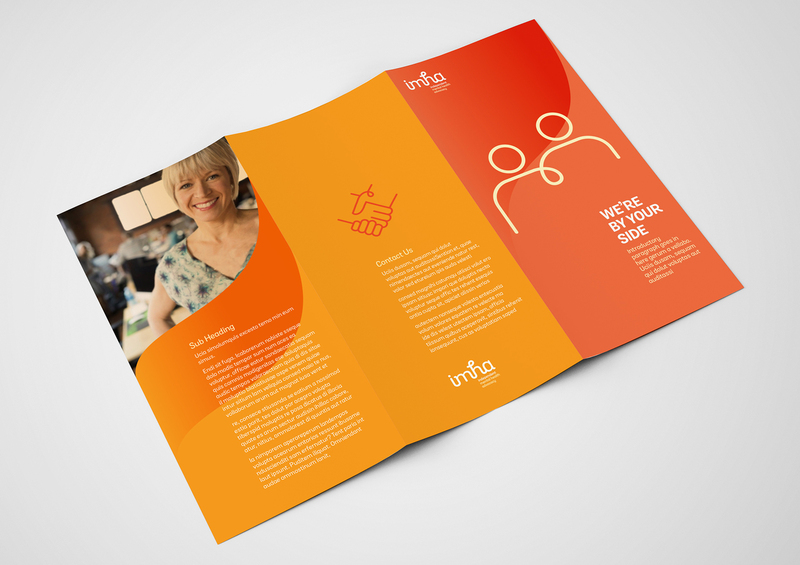 Brief: Working with the core brand values of Treatment, Care and Recovery, we were chosen to create a brand solution for the new service which would stand out in the industry and offer an image of healing and support to those who are in need of this service. 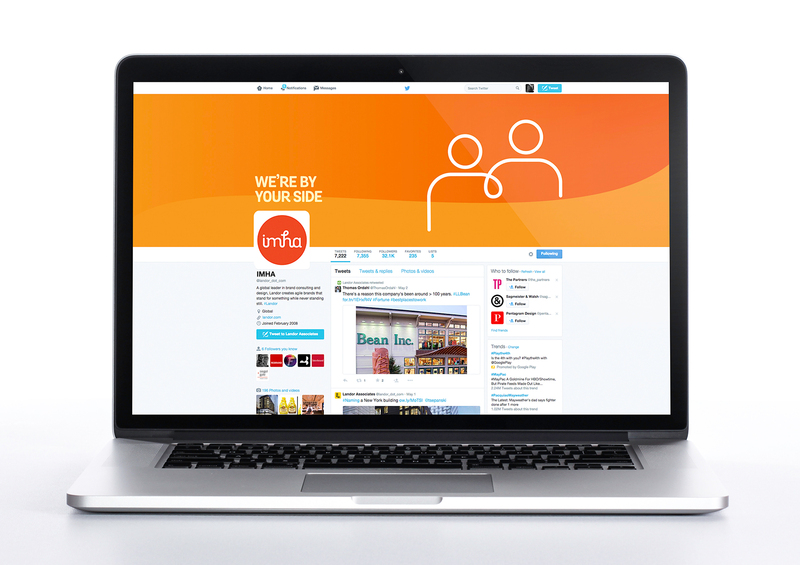 Solution: In order to ensure that the new brand would communicate effectively with the target audience, we undertook some user testing on a group of people with ‘lived experience’ to ensure that our design choices were appropriate and effective. 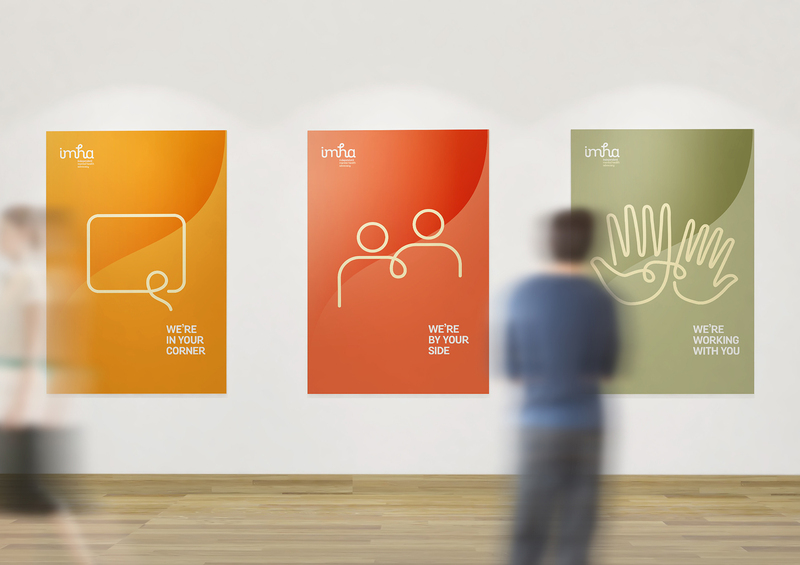 Based primarily on feedback from this group we established the brand concept of ‘By your side’ and designed an identity which is characterised by the use of flowing graphics, natural colours and linking iconography to create an image of care and recovery. 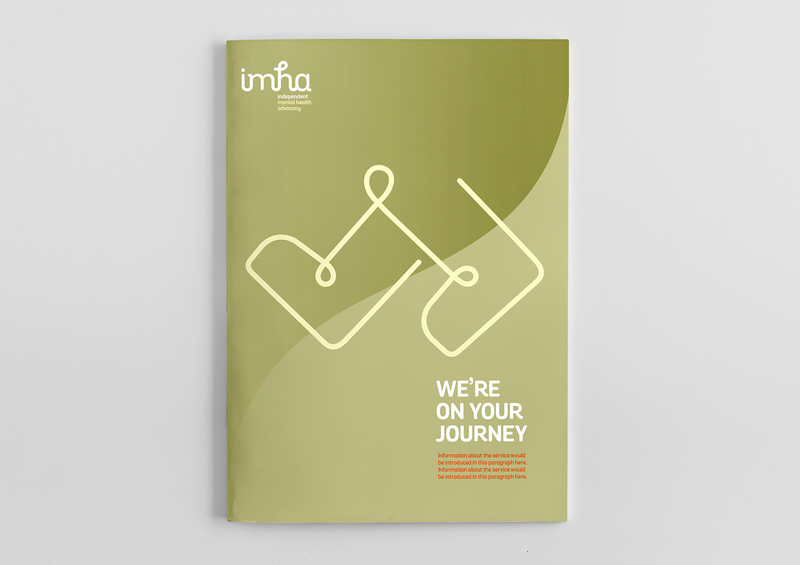 Result: Imha’s new branding has been a huge success from day 1 and is currently a well recognised brand within the sector. The service is now well established and provides services in 34 mental health outposts.